Our Camp Aide Program is an opportunity for teens ages 13-18 to volunteer for 1-2 weeks during Blandford’s Summer Day Camp. Through this program and your child’s service to the West Michigan community, we hope to grow tomorrow’s leaders! Share your love of the environment with campers ages 4-12! Earn up to 40 hours a week in community service hours! Stipends available based on experience! THE DEADLINE FOR SUMMER DAY CAMP AIDE APPLICATIONS IS MONDAY, APRIL 29TH! Please see below for information on completing additional paperwork, training dates, and FAQs. Step 2: Additionally, we require you to complete the Camp Aide Form and RSVP to one of the two Camp Aide Training options. This form and RSVP is automatically submitted to our Volunteer Manager upon completion. This form is mandatory as it requests your summer availability, which age group of campers you’d like to work with, which Camp Aide Training you will be attending, in addition to other questions that help us provide the safest environment and experience for everyone. Once the above steps are completed, the Volunteer Manager will verify that your request to be a Volunteer Camp Aide was received within 7 business days. We will do our best to process your Volunteer Application and Camp Aide Form as quickly as possible. Step 1: Verify with our Volunteer Manager that you already have a Volunteer Application on file at volunteer@blandfordnaturecenter.org or call 616-735-6240 ext. 104. What days/hours do Camp Aides work? For the week(s) they are assigned, Camp Aides work Monday to Friday from 8:45am-4:15pm. It is essential that Camp Aides work their complete shift, as staff counts on them to assist with setup, check-in, check-out, and cleanup. Can my Camp Aide volunteer for more than 1 or 2 weeks? Camp Aides will be assigned 1-2 weeks of camp. Additional weeks may be offered based on coverage needs and Camp Aide performance. How are the Camp Aide assignments made? Assignments will be made based on best fit and availability. 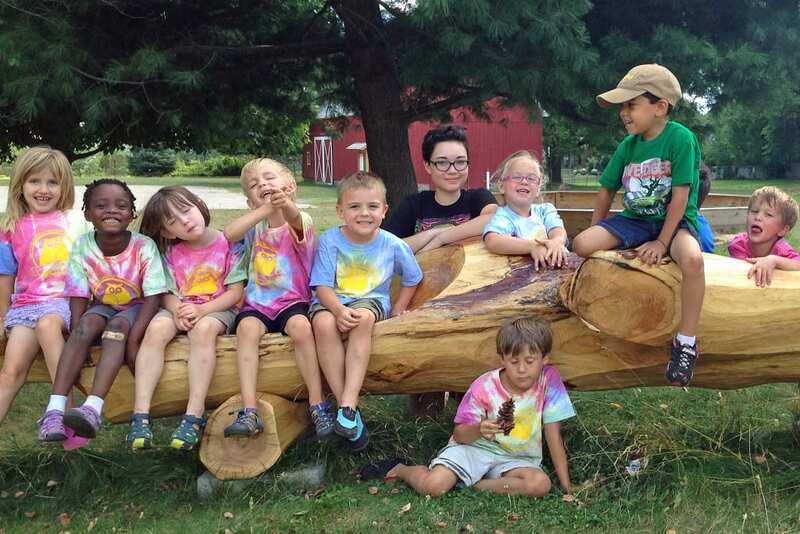 Typically, younger Camp Aides are assigned to the Nature Buds & Wild Sprouts groups, while older Camp Aides are assigned to the Trail Blazers and & Outdoor Explorers camp groups. My Camp Aide wants to volunteer for a specific camp. Where can I find the info for that camp? 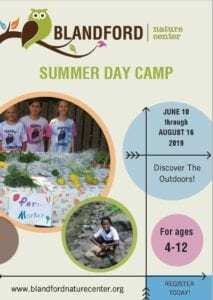 Click the photo to view our Summer Day Camp Brochure to find all of the different camp dates, times, age groups, and themes below! Will my Camp Aide receive a stipend for their work? Please complete the stipend application section if you’re interested. Stipends may be available for some camp aides and we will notify you by Monday, April 29th if you qualify. Thank you for your interest in our Camp Aide program! 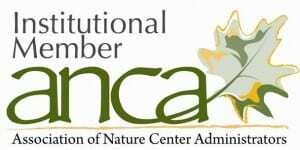 For questions or more information, please contact our Volunteer Manager at volunteer@blandfordnaturecenter.org or 616-735-6240 ext. 104.